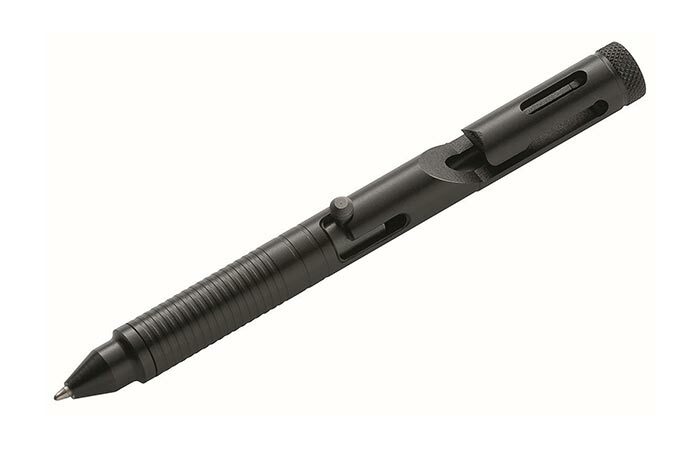 A Gerber tactical pen with an integrated glass breaker. When you hear of Gerber, you know to expect toughness and this pen isn’t a typical one to use when taking notes. In fact, Gerber teamed up with law enforcement officers to create a pen that will serve as a utilitarian tool as well. Gerber Impromptu Tactical Pen is rugged, has a machined steel body and a stainless steel pocket clip. The ink cartridge will work just fine in all conditions and if you find yourself in trouble, there’s a glass breaker on the tip. It perfectly fits into a pocket and can withstand anything you throw at it. 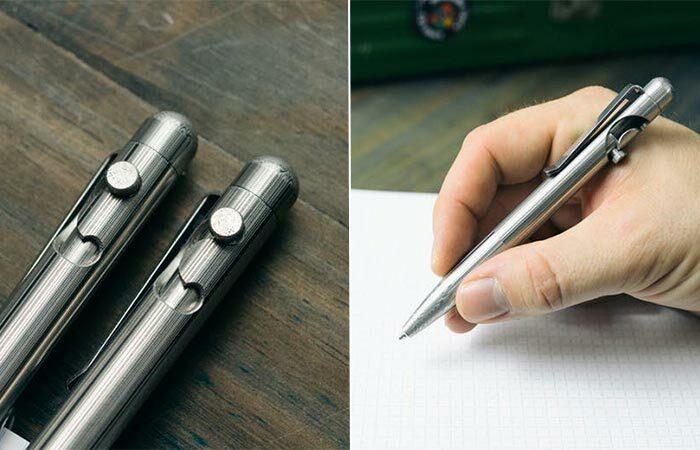 A pen made using two types of steel. Comes with a bolt action feature. Tactile Turn Damascus Slider is an extremely tough pen that’s long lasting and won’t corrode. This is achieved thanks to its Damascus and stainless steel construction. Two materials are mixed together and create a nice texture. Probably the most interesting feature is the bolt action. With one motion, you’ll retract or advance the pen cartridge. This pen has a Schmidt Easy Flow 9000 medium point with black ink. A classic elegant but durable pen. A gentlemen’s must have. Let us start with an elegant pen that every man needs and can be an interesting gift for special occasions. The company has over a century of traditional pen making. The Urban pen comes with a sleek profile and curved design, together with a recognizable Parker arrow clip. Thanks to its shape, the pen will fit comfortably in your hand and the ballpoint tip will provide you with constant dark ink. Available in a variety of finishes. 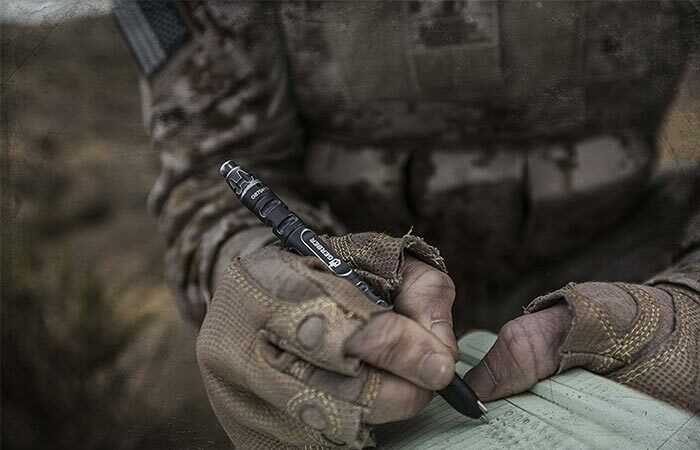 Here’s one more tactical pen, this time from Boker. It’s created in collaboration with the military, police and security experts as well as a knifemaker Thomas Braunagel. Boker Plus Tactical Pen features a bolt action mechanism so it will open and close with a click. The body is crafted out of hard coat anodized, CNC milled aluminum and a black finish. Thanks to its flat pen head, you can also use it as a defense tool. A sturdy clip allows you to place it easily in your pocket. A tool pen with 9 features. The last one for today is a tool pen. Its soft-roll ballpoint provides smooth writing but that’s not the reason why we love it so much. It’s because of its 9 tools. 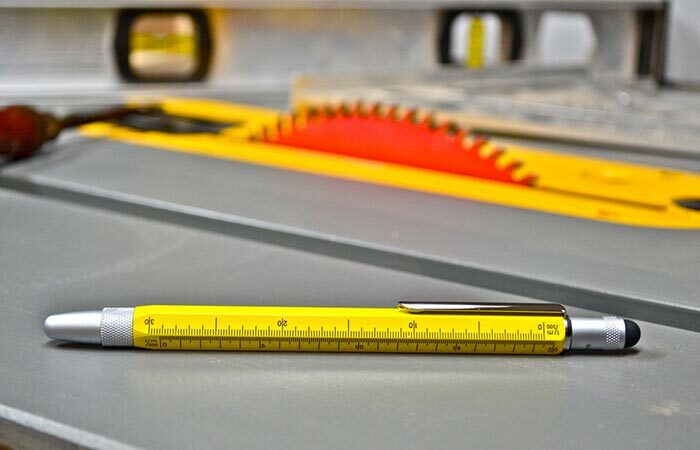 That’s right, Monteverde USA One Touch Tool Pen has 3 rulers, a built-in level, Phillips & Flathead screwdriver, pen, and stylus. 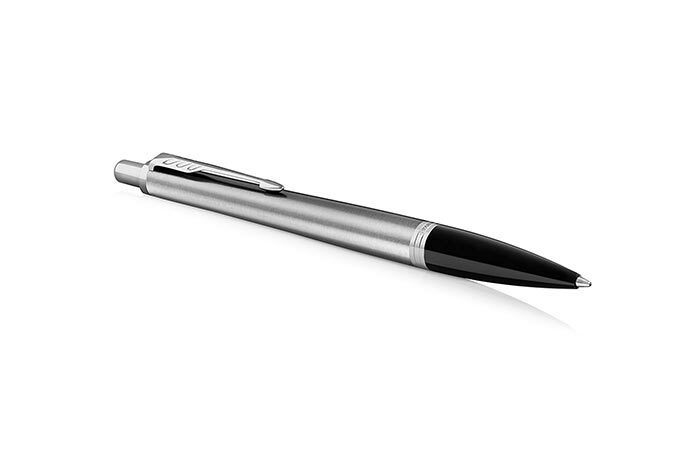 A highly responsive stylus comes with a touchscreen cap. The pen weighs around 3.5 ounces and comes in four colors.